Shi Huimin was burned over most of her body by a fireworks factory explosion at age 4. Now 14, Huimin was the proud recipient of a handmade Ghanian drum from drummers Kristen Arant and Tammi Hessen this summer. 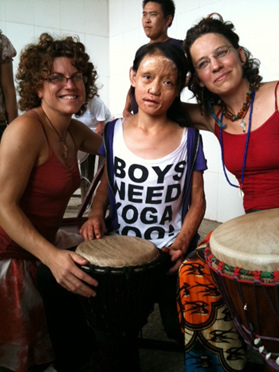 She took immediately to drumming and promised to practice every day.